Long time customer and friend of the Caddis fly, Rick Allen sent in his Echo Gecko Contest entry. 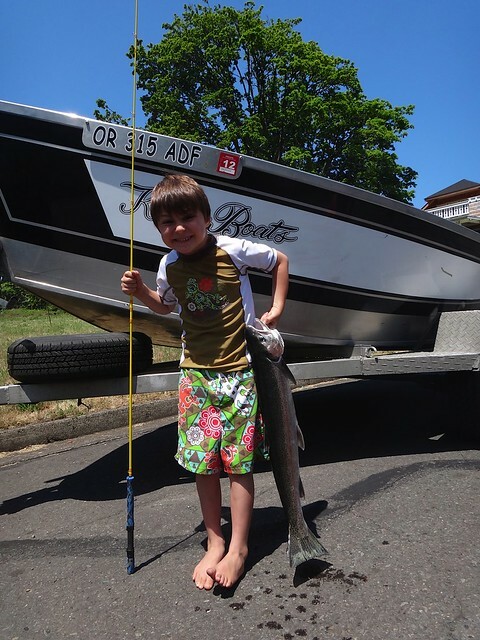 We love to fish together, so when we’re in my boat swinging flies, I fish my 7 or 8 wt for steelhead and James uses his 4 wt. Echo Gecko with a trout fly. 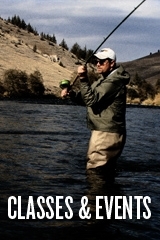 This time of year he catches cutthroat and rainbows and I fish for steelhead. 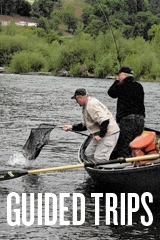 James will catch plenty of steelhead as he becomes more experienced. He’s already got the bug. Last Saturday, I hit the river with a good friend and decided to try my luck with the Echo Gecko and within the first couple swings a steelhead took my fly. It was pure comedy. I could not stop laughing. Run after run, rod doubled over, the Echo Gecko SANG. It was bendy and did not break, just as James said. 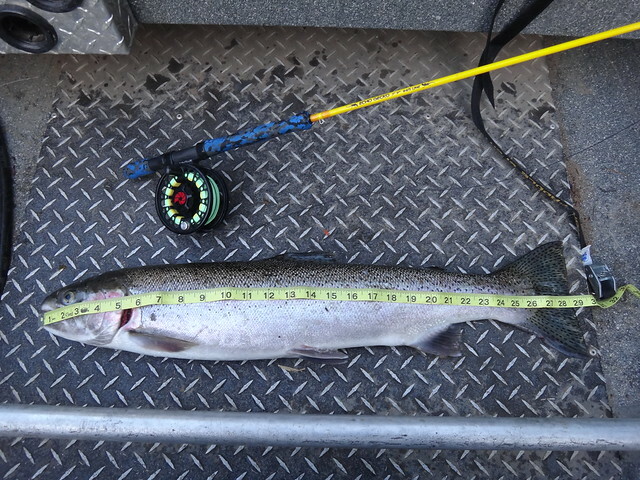 The fish was a 9 pounds 28 1/2” long dime bright hatchery buck. James wasn’t there but he was stoked when he heard the news. I’d love to win this contest but would like to challenge anyone of you if you don’t already have one. 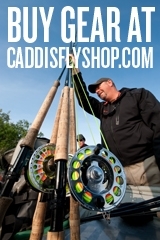 Go into the Caddis fly shop, buy yourself, or your kiddo an Echo Gecko fly rod and put it and you to the test on the biggest fish you can find. Sure. Give me a few days. It’s pretty funny.